I have been delinquent in my WIP Wednesday posts, in part because I have been embarrassed by how little crafting I did in July. But that is one purpose of the WIP Wednesday posts: motivating me to make progress, because it isn’t interesting content if there’s no progress. Fortunately, I have progress! 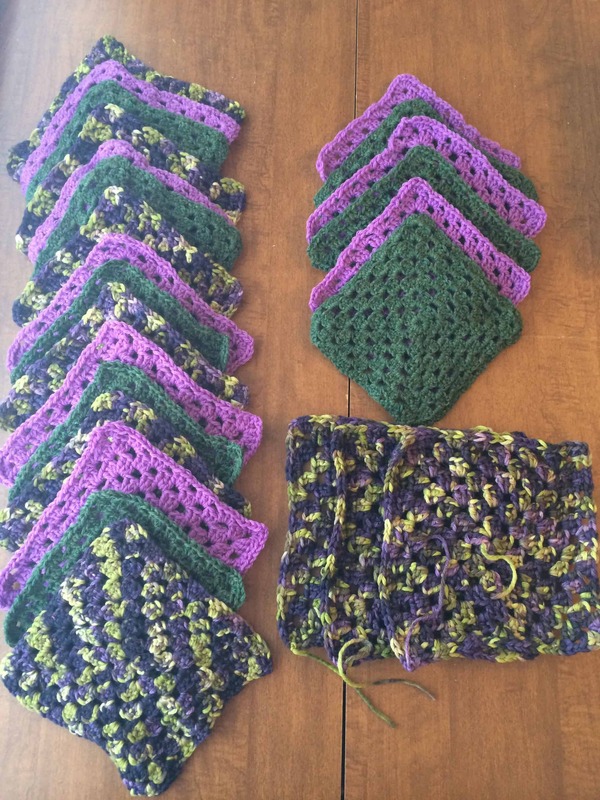 I have now accumulated 27 squares for the blanket. I accidentally used the wrong hook on the last 3 squares, so I have to decide if I want to rip them out entirely and redo them with the right hook or if I want to rip out the last round so they are the right size overall. I am probably going to rip them out entirely. In addition to redoing those 3 squares, I believe I have enough yarn to finish 2-3 more squares. Then it is time to assemble the blanket! I hope to finish assembling it this month. I still haven’t finished weaving in all the ends. I am doing them a little bit at a time, as a break between bouts of housework. No rest for the weary. 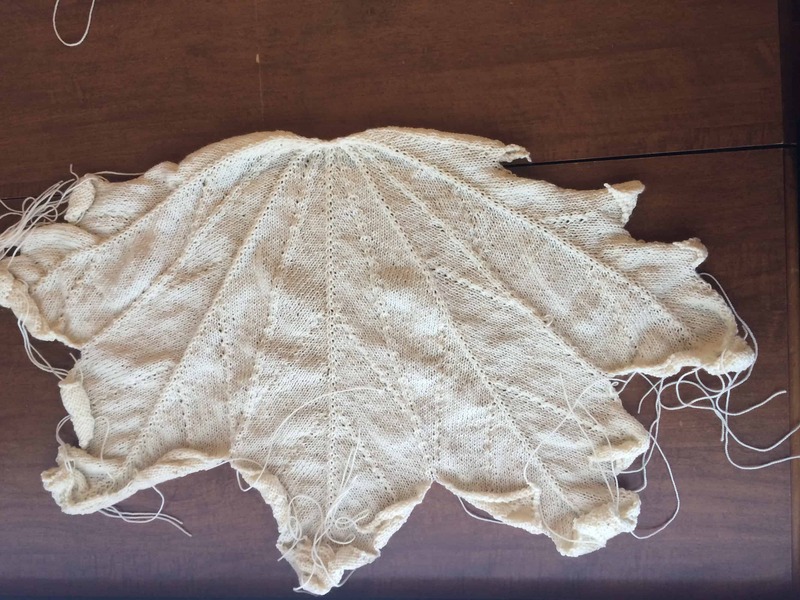 As soon as I finished MAPLE LEAF the Fourth, I cast on for MAPLE LEAF the Fifth. 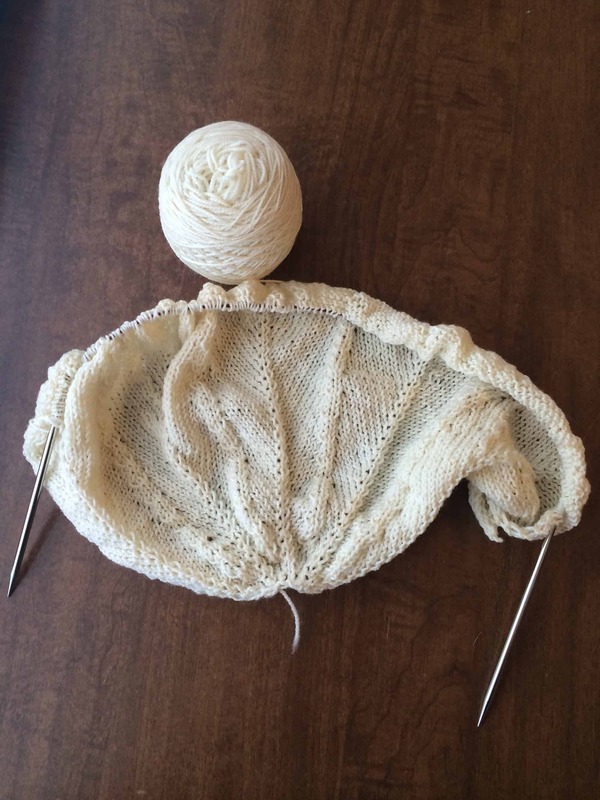 I started it last Friday, and I am about 1/4 through the pattern. As soon as I finished plying the Neverending Spinning, I started on the next fiber that was to be part of my OWL: a 4 ounce braid of Nerd Girl Yarns Lux Top (80% Merino / 20% Silk) in the I am Bad Wolf, I Create Myself colorway (that’s a Dr. Who reference, for those who don’t watch that show). This fiber really wants to be thin; I’m assuming that is the influence of the silk. At times, it is so thin I can barely even see it. I predrafted the entire braid and rolled it into a ball. I am doing additional predrafting in sections as I go. It is the only way I can spin the fiber the way it wants to be spun and have any control over it at all. I started with my drive band on the 5:1 ratio, then switched to 8:1 so that I could get enough twist into it and spin it faster. 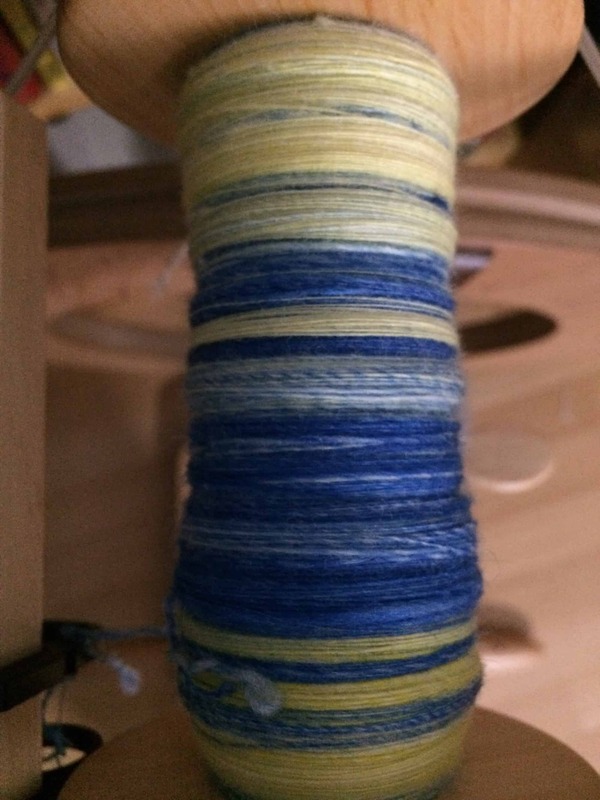 I love how the colors are coming out in the spun single. The yellow is so lemony!